One of the great pleasures of staying in a hotel is spending time in a spotless, neat, and organized space that you don’t have to clean. That doesn’t, however, mean the work disappears—when we’re not looking, someone else is doing it. With Housekeeping by Design, David Brody introduces us to those people—the housekeepers whose labor keeps the rooms clean and the guests happy. Through unprecedented access to staff at several hotels, Brody shows us just how much work goes on behind the scenes—and how much management goes out of its way to make sure that labor stays hidden. We see the incredible amount of hard physical work that is involved in cleaning and preparing a room, how spaces, furniture, and other objects are designed to facilitate a smooth flow of hidden labor, and, crucially, how that design could be improved for workers and management alike if front-line staff were involved in the design process. After reading this fascinating exposé of the ways hotels work—or don’t for housekeepers—one thing is certain: checking in will never be the same again. 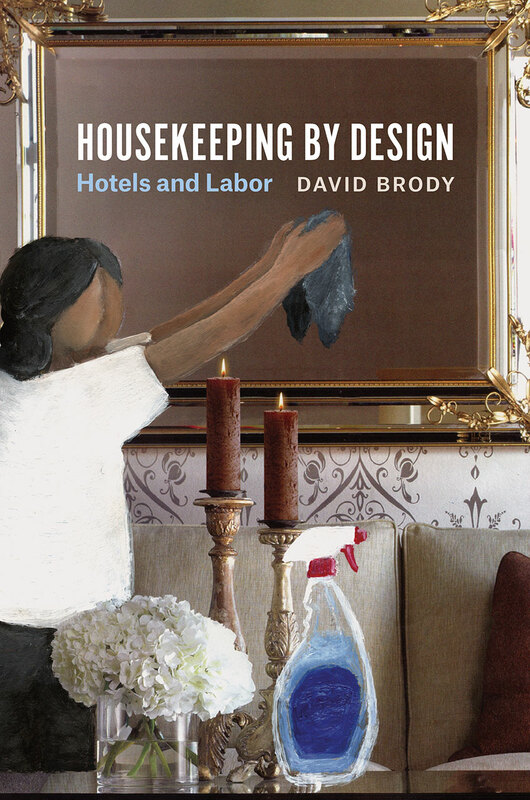 "Explores the tension between design and labor within the world of hotels, focusing on housekeeping and their role in maintaining hotel-design choices. Considers how integrating workers into the design process can improve working conditions, reduce labor unrest, and improve the relationship among guests, workers, and management."